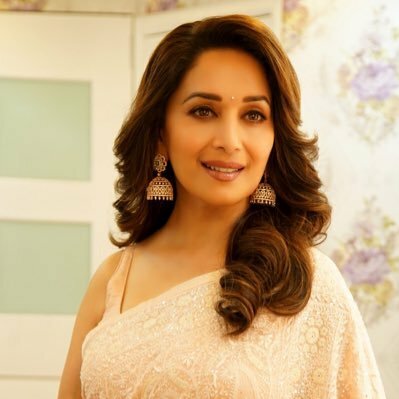 Madhuri Dixit reveals interesting details about herself on her live Twitter chat! Bollywood Diva, Madhuri Dixit who has been mesmerizing her fans in Dance Deewane, took time out to interact with them on Twitter. Elated with this opportunity, her fans asked her numerous questions. The witty and graceful, Madhuri Dixit responded with as much enthusiasm! One of her fans asked her about a dance form she would want to learn, to which Madhuri revealed she wants to learn Belly Dancing! We are certain that she will rock that dance form as well. 3. What fictional character does she wish she could meet? Did you know our B-Town Mohini loves Sherlock Holmes? I am sure her fans are gonna love her even more. Madhuri too, like us, has a taste for weird food combinations. Her favorite being Butter and Grapes Sandwich which she also recommends as a must eat! She even included emojis with a smile! Madhuri tweeted about the weirdest question ever asked to her by a fan or a journalist. The question was, ‘Is this your original face?’ That surely is an odd question! We love seeing this inside look into Madhuri world and we can’t wait to see more! 16 queries in 0.435 seconds.